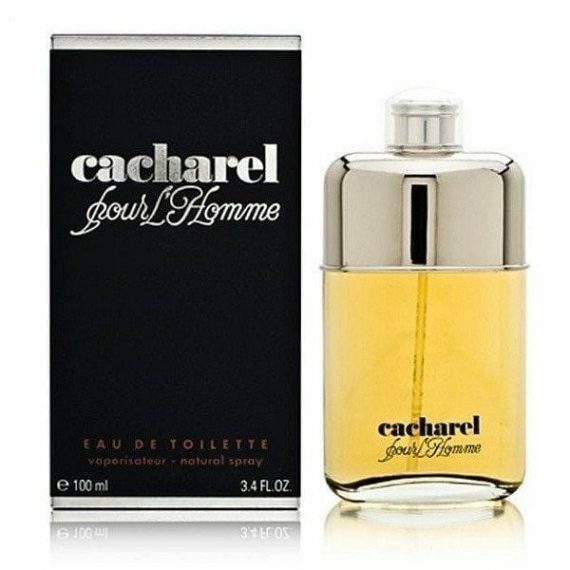 Caacharel Pour L’Homme is a woody aromatic masculine scent by Cacharel that embodies a man’s essential and yet uncommon contrast of elegance and audacity. The Eau de Toilette is a casual wear scent with top notes of Lavender, Lemon and Bergamot. The middle notes are Nutmeg, Geranium and Carnation and the base notes are Sandalwood, Cedarwood, Vetiver and Musk. The predominant note is Nutmeg and the perfume is moderate to long lasting. The scent was launched in 1981 in a glass and metal dual flacon and is available in two sizes – 50ml and 100ml.